Candidates wishing to enrol with The Learning Curve Institute can do so by booking a place online and completing an application. In the event of late applications i.e. applications after the closing date or if the applicant is unable to book online please contact The Learning Curve Institute on 098 25530 or on info@thelearningcurve.ie to ensure places are still available. To secure a place on any QQI course an online application form must be completed and a minimum non-refundable deposit of €200 must be paid (plus €20 QQI fee if applicable, see section 2.1.1) to The Learning Curve Institute. Places on courses cannot be held without both a completed application form and deposit. The deposit is fully refundable where The Learning Curve Institute cancels or changes the dates to a course (See section 5.7). The balance of the course fee must be paid in full at least 5 working days before the course commencement. Full course fees and non-refundable deposits can be paid for online on our secure website www.thelearningcurve.ie. See section 3 for all accepted forms of payment. All applications will be treated on a first come first serve basis. When posting, deposits should be sent to the address above. The application form must still be completed online using our website. Upon receipt of a successful application and deposit, formal notification of acceptance will be issued to the candidate by email or by telephone where no email address is present. NOTE: Candidates cannot start a QQI course with completing the online application form in full. Students who are in receipt of DSP funding must pay a €200 security deposit for attendance on all courses. This €200 is refunded directly to the student upon successful completion of the course and once the payment is received from DSP. Security deposits may be submitted by cheque, postal order or bank draft. By submitting an application form and agreeing to these terms and conditions, the student is liable for all course fees should he/she withdraw from the course before it is completed. To secure a place on non-QQI courses or training workshops candidates are required to pay the full course fee as a non-refundable deposit. If you are being funded to attend a course / workshop by your organisation please complete your booking online using a debit or credit card. You will receive a booking confirmation / receipt of payment. If you or your organisation require a formal invoice / receipt please contact our office on 098 25530 and we will email an invoice/receipt to you. For large groups or in-house training groups the Learning Curve Institute will issue an invoice. Invoice payment required within 30 days. €4 from every booking on QQI courses and €2 from all workshops will be donated directly to Barretstown and The Childrens Medical and Research Foundation, Crumlin. Fees must be paid in full at least 5 working days before the course commencement otherwise a candidate will forfeit their place on the course to the next available candidate. 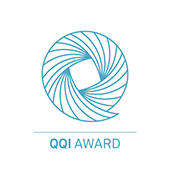 A non-refundable deposit of €200 or payment of course fee in full is required to secure/book a place on all QQI courses. A payment plan may be available in certain circumstances. Students wishing to avail of the payment plan need to contact the office as all decisions are taken on an individual basis. Failure to pay fees in full will result in a candidate being ineligible for certification. NOTE: Lecturers cannot accept any payments. All payments must be submitted using one of the payment methods below and sent to The Learning Curve Institute Head Office or online via our website. All learners undertaking QQI courses with The Learning Curve Institute are liable for a QQI certification fee of €20 per person per Minor Award for the issuing of all QQI component certificates in addition to the relevant course fee. This fee is charged by QQI and is not part of your course fees. Social welfare recipients and/or medical card holders are exempt from this certification fee. Fees must be paid in full at least 5 working days before the course/workshop commencement otherwise a candidate will forfeit their place on the course to the next available candidate. Cheque, postal order or bank draft made out to The Learning Curve Institute Ltd. The Learning Curve Institute will not be responsible for any cash sent by post. The Learning Curve Institute makes every effort to avoid altering course dates, however, should any changes be necessary, you will be notified at the earliest possible opportunity. If the new dates are not convenient then you will be issued a full refund for any monies paid to date including the non-refundable deposit. The original booking deposit is non-refundable. No refund of course fees paid above the deposit. 50% refund of course fees paid above the deposit. 100% refund of course fees paid above the deposit. A deferral fee of €30.00 applies. A booking may only be deferred once. The request to defer must be made a minimum of 5 working days prior to the course / workshop start date otherwise the original booking fee will be lost. No refund will be made to learners who fail to attend classes or who do not complete a course or to learners who begin a course and who subsequently feel that the course does not suit him/her. The security deposit of €200.00 is non-refundable. The student is liable for all remaining course fees. For learners who are having their fees paid by a third party, it is the learners responsibility to liaise with these bodies and to furnish The Learning Curve Institute with a letter of approval of fees prior to commencement of the course. All of the above terms and conditions in regard to payment of fees, invoices, refunds and cancellations will then apply to the third party who is responsible for payment of the fees. Certain allowances can be made for extenuating circumstances at the discretion of The Learning Curve Institutes Board of Directors. Applications for refunds due to extenuating circumstances should be made in writing to The Learning Curve Institute accompanied by any supporting documentation. A full refund will be given to all applicants, including the original non-refundable deposit. Deposits and other monies paid can be used as payment and booking for the next scheduled course. The monies paid can be used as payment against any other course being delivered by The Learning Curve Institute. All terms and conditions will still apply to this new booking. Assignment deadlines, as outlined in the assessment guidelines document and as distributed by lecturers, should be strictly adhered to. The assessment guidelines document also specifies how assignments should be presented (font, size, format). The Learning Curve Institute will grant extensions to students who cannot complete or submit assignments by the allocated deadline where there are sufficient extenuating circumstances. Each extension is treated on a case by case basis and must be approved by The LCIs QQI Coordinator. All extension requests must be made using the Assignment Deadline Extension Form. A request for an extension must be made on or before the due date for the assignment. No extensions can be granted to any candidate without a written request for the deadline to be extended. Supporting documentation should be included where possible. Extensions can be requested for either 2 weeks or 2 months only from the due date of the assignment. A 2 week extension may result in the candidate going into the next certification period. A 2 month extension will result in the candidate going into the next certification period. Approved extensions will be notified by email from the QQI Coordinator at The Learning Curve Institute. Learners who have submitted an extension request but not received formal notification that it has been approved should contact the office. Assignments which have been granted an extension must be sent to The Learning Curve Institute office in Mayo by registered post or by email. It is the responsibility of the student to ensure that assignments have been received by the extended deadline. All learners should keep copies of their assignments as The Learning Curve Institute will accept no responsibility for assignments which do not reach the office. In the case where assignments are submitted after the deadline (either the original deadline or the granted extension deadline) the candidate will incur a penalty of 1 mark for every day that passes after the deadline day. After a period of 10 days, projects will no longer be accepted. Once students have completed their assignments and received their certificates they are given the opportunity to collect their assignments should they wish to do this. All projects and assignments are kept in The Learning Curve Institute office for a period of 6 months after the final day of the course. After this period, assignments are destroyed. Registered employers can contact DPS/ FAS as it may be possible to reclaim fees (at least in part) for employee courses through retraining grants or tax incentive schemes. Assistance in paying fees can also sometimes be obtained from Partnership Boards, Enterprise Boards, Chambers of Commerce, the Department of Social and Family Affairs, Community Employment Schemes, The Back to Education Initiative and FÁS. By sending a payment, filling out an application form or booking into a course online, I am aware that I am subject to the above terms and conditions.